All Signing Agents are notaries, but not all notaries are Signing Agents; it’s like how all circles are shapes, but not all shapes are circles. To become a Signing Agent in Maryland you must be a commissioned notary public in the state. Only then may you apply for the extra certification. 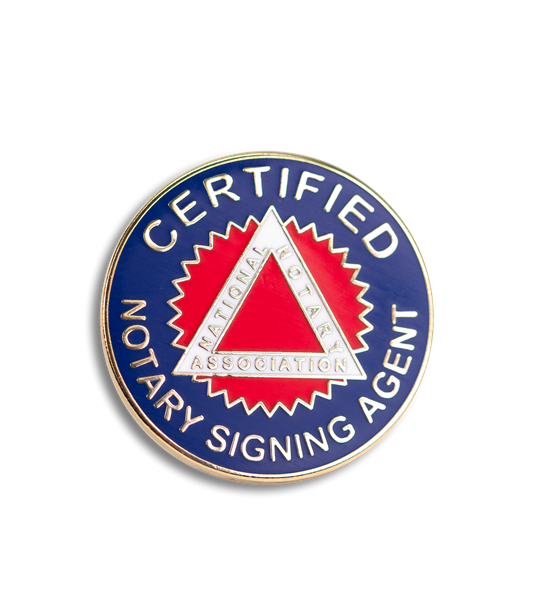 A Signing Agent is another level of certification on top of your notary public one; it allows you to assist with loan paperwork and signings such as Mortgage Closings, Refinance Closings, Reverse Mortgage Closings, Home Equity Loan Closings, FHA Loan Closings, and Loan Modifications-- Signing Agents are prominent in the mortgage industry. As a Signing Agent you will be part of the chain for completion of a loan, and you therefore, need to know how the loan process works. Part of your training will not only be understanding your role, but also the entire process. Comprehending the full picture will allow you to be a better Signing Agent. Although, there are specifics to the Signing Agent Certificate, there is some overlap between the Signing Agent and the notary public—the same rules apply for a Signing Agent as they do for a notary public. For instance, when you are completing a signing, you may not offer the customer any legal advice. If they have a question about one of the mortgage documents, you can only advise them to call either their lender or another person involved in the deal. You cannot try to explain the documents to them. The signing agent simply takes their notary training a step further and handles more complicated and sensitive transactions in the mortgage or loan world. To become a Signing Agent, first you need to complete a training course to get a Title Producer License in Maryland. Once the training is completed, you would then schedule a PSI Exam to obtain your license. The Maryland Insurance Administration issues the license and once you pass your exam you would need to fill out the application and mail it in. The entire process would take roughly one month. We have acted as the signing closing agent/notary in asset transfers, refinance, purchase and sale transactions. If you need a loan signing agent to assist you with your next loan signing, call DMV Notary Mobile at (202) 826-8179 or place an inquiry here.